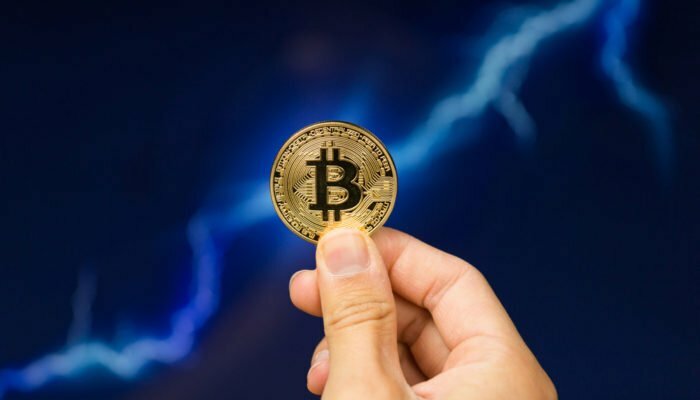 Will Lightning Network’s Latest Feature Help Bitcoin Achieve Mass Adoption? Lightning Labs, one of the major contributors to the Lightning Network, has announced the alpha launch of a new feature coming to the second layer micro-payments solution on top of the Bitcoin network. Lightning Loop, as the update is called, aims to address current issues surrounding channel capacity limits with regards to some of the early applications of the technology. Until Lightning Loop, once a user’s channel reached maximum capacity, it could accept no more payments. Obviously, for businesses hoping to use Bitcoin’s Lightning Network as a payment method, such interruptions in service are unwelcome. The alpha launch of the first stage of Lightning Loop was announced by Lightning Labs earlier today via Twitter and an accompanying blog post. This initial phase of the update is being referred to as Loop Out. The idea is that users can offload Bitcoin from their Lightning Channel and back on to the main chain, freeing up the maximum channel capacity to receive additional payments, whilst keeping the channel open. Announcing the alpha release of Lightning Loop, a non-custodial service that makes it easier to receive #bitcoin on Lightning. To illustrate how Loop Out will make Lightning Network more useful for merchants, Lightning Labs used a Bitcoin-relevant analogy revolving around a pizza shop choosing to accept Bitcoin via the Lightning Network. Since such a business presumably has takings larger than its outgoings, eventually its payment channels reach capacity and the shop will no longer be able to receive transactions. However, using Loop Out, the shop can continue selling pizza since it can now send funds back to the main chain and free up space for new payments in its channels. Additionally, Loop Out will allow new users to the network to have an initial receiving capacity, rather than relying on others to open channels with them. This will supposedly make it easier for those new to the network to receive Bitcoin. As mentioned, Loop Out is just the first of two proposed updates addressing the issue of channel capacity restricting economic activity on the Lightning Network. The second will be called Loop In and will allow payments to be made to Lightning Channels from exchanges and other on-chain sources. This means that a user can stay connected to their payment channels, even after they have depleted the entire balance of all their open payment channels through spending. Further details about Loop In can be found on Lightning Labs’s GitHub repository. Despite still being very much in its formative period, Lightning Network has already made great leaps forward in 2019. The Bitcoin payments network once again received high profile attention from the likes of Jack Dorsey, Circle and Twitter CEO, as a publicity generating “Lightning Torch” was sent to him. The long-term Bitcoin bull was also impressed by the work of the developers behind the Tippin browser plug-in that allows Twitter users to send micro payments to one another as a tip for strong content. Such a hive of development and excitement around the project has allowed the network to quickly swell to a total capacity of over 1,000 BTC and almost 7,500 nodes at the time of writing. No doubt today’s news of additional functionality coming to the Lightning Network will excite Dorsey, who was one of Lightning Labs’s major financial backers last year. Will Lightning Network’s Latest Feature Help Bitcoin Achieve Mass Adoption? was last modified: March 20th, 2019 by Rick D.